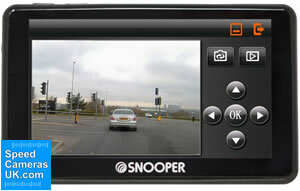 Snooper SC5900 DVR Syrius is designed for use by car drivers. Street-level maps for UK and all of Europe are included for FREE and can be updated for FREE too. THe SC5900 DVR is Windows and Mac compatible. To read more about the Snooper SC5900 DVR range which includes truck version, coach version and motorhome version please click here. 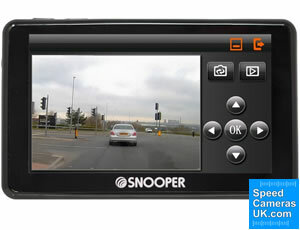 Snooper SC5900 DVR Syrius Europe with FREE lifetime map updates £229.99. TyrePilot is compatible with the Snooper SC5900 DVR so you can check tyre pressure and tyre temperature which will be displayed on screen. This optional feature will provide audible alerts for tyre pressure drops and abnormal temperatures. Using TyrePilot will result in safer, more fuel-efficient driving and extend the life of your vehicles' tyre's. 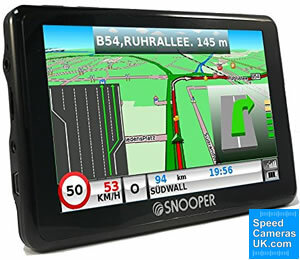 Looking for more information on the features of the Snooper SC5900 DVR Syrius sat nav or how it installs in your vehicle, etc? View the SC5900 manual by clicking the PDF logo below. The manual opens in PDF format.